The resolutions of the Zanu PF annual conference exposed their misunderstanding of the reality on the ground. They reflect the failed party's lack of care for the suffering masses of the Zimbabwe. As far as the MDC is concerned the top priority of any political gathering ought to be the collapsing economic, social service delivery and the political crisis. A caring organization would seek solutions for the ongoing doctor's strike and the crisis in the health sector in its holistic sense including drug shortages. A governing party would seek to find solutions to the recurring cholera outbreaks. There are issues of remuneration being raised by teachers yet Zanu PF says no word in this respect, they rather send repressive state apparatus to arrest their leaders. We are however aware that a party which does not derive its mandate from the people will only pursue narrow agendas of self-aggrandizement and self-preservation. The people of Zimbabwe are facing yet another year of crippling cash shortages, yet Zanu PF made a promise to deal with it in the first 100 days of the so called "New Economic Order", a promise which they have since gone quiet on. There is no mention of the liquidity crisis in the resolutions. Unavailability of goods should top the agenda yet Zanu PF pretends everything is normal in this respect. Fuel queues are worsening, and the promise of millions of litres have proved to be hot air. The MDC always made the point that the fuel industry needed serious reform and that the regulator needs to deal with issues of the quasi monopoly in which a single cartel controls the pipeline. Speaking of such reforms ought to have topped the agenda as part of the solution to the political crisis. Zimbabwean institutions are weak and captured, laws are obsolete and divorced from the Constitution. Zimbabweans are divided and the nation polarised, Zanu PF ought to have spoken about nation building, the social contract and restoration of the moral fabric. 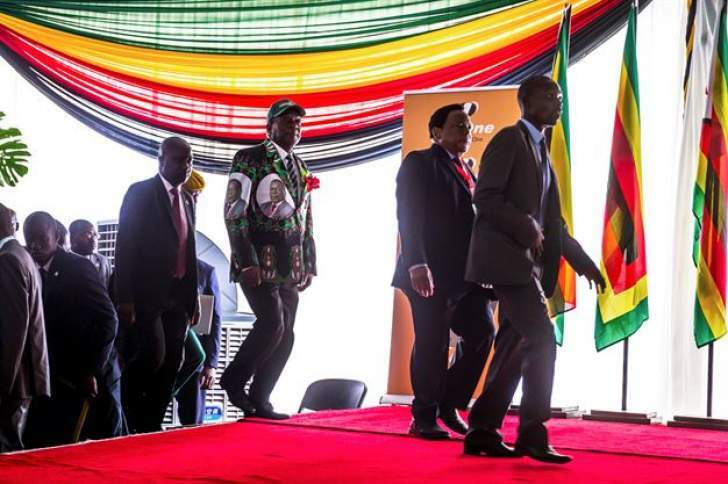 In our view the Zanu PF conference was but a power retention crusade where members were trying to outdo each other in the praise and worship session for Mnangagwa. It is shocking to have millions of public funds spent for purposes of endorsing someone who should be facing punishment for failing Zimbabweans. They even passed an outrageous proposal to raise the minimum age for Presidency to 50. A clear disregard of the capability of young people and a direct prohibition of Nelson Chamisa who defeated them hands down in the past election. It is shameless. The MDC contends that this kind of leadership digs Zimbabwe deep into an abyss. The citizen must be angry. We restate that only the five point plan articulated by President Chamisa can save Zimbabwe. Zanu PF ought to have realized that or at least attempted to chat an alternative proposal. Instead, they moot the return of the dreaded militia through their youth service, a tell-tale sign of the outlook of the 2023 election - a clear failure to break from the failed party's violence dispossession. The people of Zimbabwe are tired of politics that does not solve their socio- economic status. They deserve better! They deserve a legitimate leadership capable of steering this nation on a trajectory of transformation, growth and restoration.